TWC – 1813 Is Back In-Stock! Hot off the presses our largest and most popular ESR Campaign Guide is back in-stock. Backorders are in the mail, reseller restocking is shipping, and your copy is ready for you to order! And Over 1500 Uniform Plates! 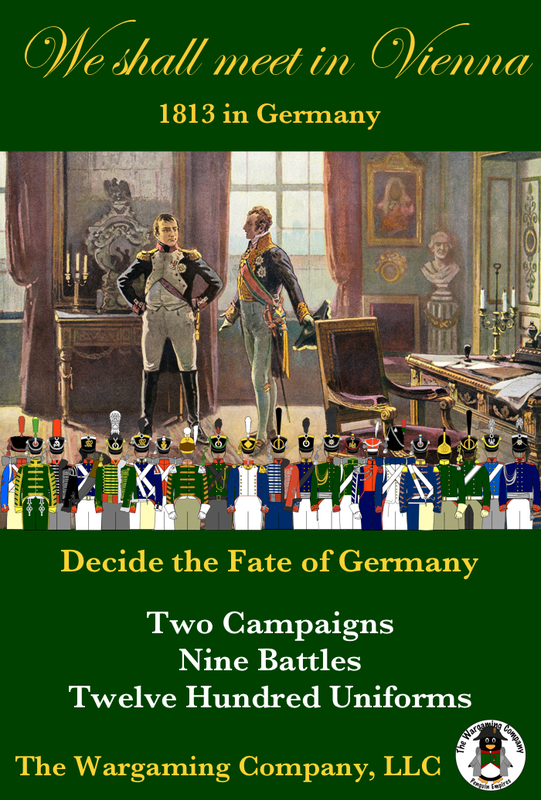 Compatible with nearly any Napoleonic rule set. This entry was posted on Wednesday, February 28th, 2018 at 13:37 and is filed under News. You can follow any responses to this entry through the RSS 2.0 feed. You can skip to the end and leave a response. Pinging is currently not allowed.